Bowery Hill's warp resistant high pressure laminate rectangular activity table features a 1.25'' top and a high pressure laminate work surface. This Rectangular High Pressure Laminate activity table provides an extremely durable (no mar, no burn, no stain) work surface that is versatile enough for everything from computers to projects or group lessons. 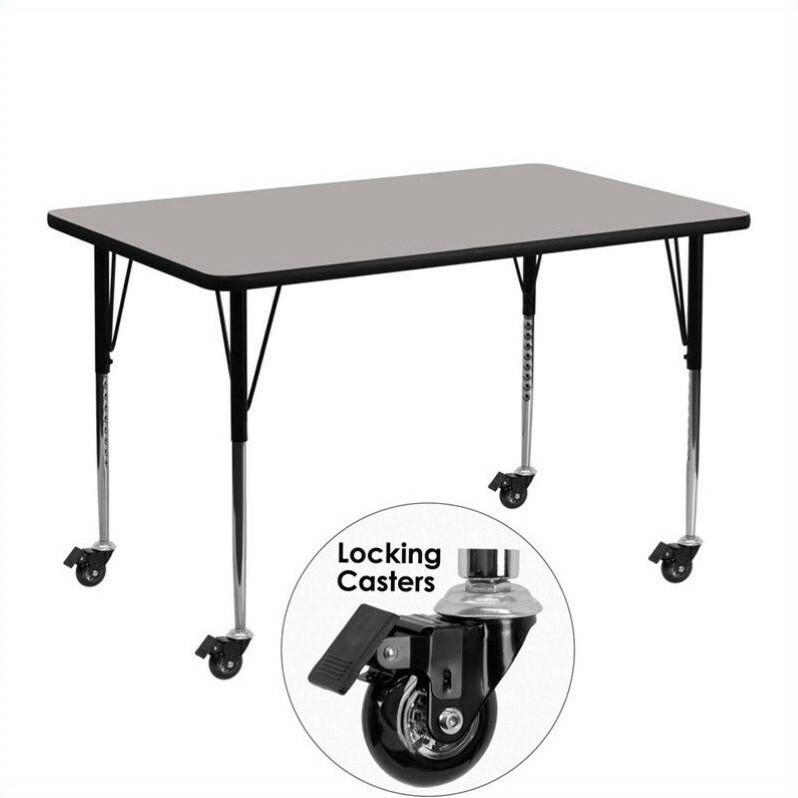 This mobile activity table enhances collaborative learning by allowing students to quickly group tables together and lock the wheels for non-movement. Sturdy steel legs adjust from 22.37'' - 30.5'' high and have a brilliant chrome finish. The 1.25'' thick particle board top also incorporates a protective underside backing sheet to prevent moisture absorption and warping. T-mold edge banding provides a durable and attractive edging enhancement that is certain to withstand the rigors of any classroom environment. This model is featured in a beautiful Gray finish that will enhance the beauty of any school setting.